Too many people wait until they are in dire pain to visit the dentist, and some find excuses not to do so even then. Perhaps they don’t realize that by visiting our luxurious, state-of-the-art dental practice twice a year, they can potentially avoid more extensive and expensive restorative dentistry treatments down the road while maintaining their beautiful, healthy, functional smiles for a lifetime. Likewise, they probably don’t realize that a visit to the practice of Kenneth W. Coffey, D.D.S. will provide them with a dental experience unlike any other, one focused entirely on their needs, their comfort, and their satisfaction. Ultimately, it’s as much of an escape from the grind of daily life as it is a dental appointment. That said, Dr. Coffey and his staff are all business when it comes to giving his patients the best, most advanced dental care available. 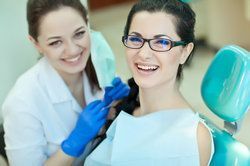 At his office in Chicago, dental exams are comprehensive, comfortable, and safe, with only the most advanced diagnostic technology being used to identify potential oral health issues in their earliest possible stages, when they are easiest to treat. As a patient, you will be catered to the entire time, resting in the lap of luxury. More importantly, however, you will have the peace of mind of knowing that your oral health is in the very best and most professional of hands. Timely identification of oral problems - Sometimes a tooth can appear healthy and structurally sound to the naked eye, yet be at risk of decay or other damage. Our advanced diagnostic tools allow Dr. Coffey to diagnose potential problems with the teeth and gums and prescribe a treatment plan right away. This will allow you to preserve your natural tissues and avoid more costly treatments in the future. Good gum health - Periodontal disease is one of the most insidious diseases because it exhibits no clear symptoms in its earliest stages. This is one of the most compelling reasons for undergoing routine dental exams. Only through professional periodontal screenings can the early stages of gum disease be diagnosed and treated. Early detection of oral cancer and other tissue abnormalities - If caught in its early stages, oral cancer is one of the most easily treated of all cancers. In many cases, oral cancer begins as an abnormal pre-cancerous tissue that can be identified during a dental exam. At this point, it can be addressed before it has a chance to develop into something more serious. A positive self-image - Regular dental exams can help you feel great about yourself. You can leave our office knowing that you have a clean bill of oral health or that, if you do have any issues with your teeth or gums, you have a plan of action in place to deal with them. Make no mistake about it: dental exams are incredibly important. To schedule your dental exam with Dr. Kenneth W. Coffey, please contact our general, restorative, and cosmetic dentistry practice today.